The award was conferred by Magirus, the global firefighting brand of CNH Industrial, in front of an audience of more than 700 fire fighters and guests from all over the world at the Congress Centrum Ulm, Germany. The winners were determined by a jury as well as online voters who awarded prizes to particularly demanding firefighting operations. The fire department of the São Paulo metropolis in Brazil was among the top three teams, as was the Fire Department from Altenmarkt, Austria (near St. Gallen) with only 840 inhabitants. 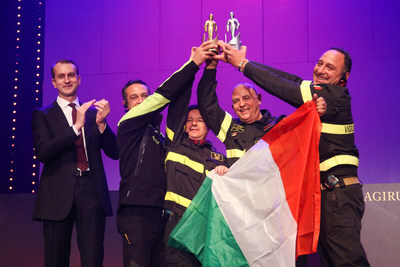 The award for “National Firefighting Team of the Year” went to the Volunteer Fire Department from Lehrte, Lower Saxony,Germany for a demanding rescue operation on the A2 motorway. The Volunteer Fire Department Erkrath in North Rhine-Westphalia, Germany earned the Special Prize for Social Commitment. “Fire departments make an enormous contribution to our society,” said Marc Diening, CEO of Magirus, in his welcome address. “The winners of the Conrad Dietrich Magirus Award 2016 represent the many hundreds of thousands of personnel worldwide who risk their lives daily.” Dany Cotton, guest of honor, also paid tribute to her colleagues. “The submissions show the great physical and mental demands of fire department tasks. I am pleased that the Conrad Dietrich Magirus Award honors this commitment.” On January 1, 2017, Ms. Cotton was appointed Commissioner of the London Fire Brigade – with 103 fire stations and over 6,000 employees, it is one of the largest fire departments in the world. She is the first woman to head this organization. This year, the Conrad Dietrich Magirus Award was presented by two people who will go down in history for a courageous rescue operation in the Riesending Cave near Berchtesgaden in Germany, which took place in 2014:Klemens Reindl from the Bavarian Mountain Rescue Service and Marko Budić from the Croatian Mountain Rescue Service. With their teams and 700 additional people, they were part of one of the largest mountain rescue operations ever seen in Germany. After 11 days, they managed to recover and bring the seriously injured speleologist Johann Westhauser to safety from a depth of more than 1,000 meters. The Conrad Dietrich Magirus Award is now in its fifth consecutive year and is considered to be the “Oscar of the firefighting industry”. 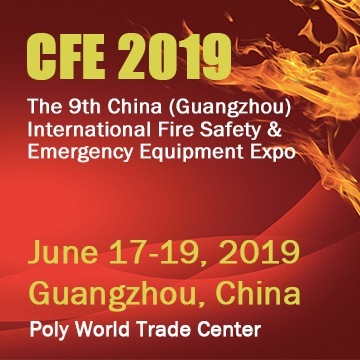 Over 100 fire departments from numerous cities and municipalities from Europe, South America, Asia, Oceania and the Middle East participated in the competition, often with daring missions. A jury comprising Michel Bour, General Secretary of CTIF (the International Federation of Fire and Rescue Services), Ann Marie Knegt, Editor-in-Chief of the English magazine “Fire and Rescue”, Hermann Kollinger from the Austrian fire brigade magazine “Brennpunkt”, Piotr Pajor, Vice President of Firemax Sp. z o.o. in Poland and Tristan Reitz from Magirus chose the best applications. After being put online, they were subject to a public online vote. The winners received the most votes both from the jury and online voters. This resulted in the teams from Italy and Lower Saxony being the clear winners. They received the Conrad Dietrich Magirus Statue as well as a trip for ten members from each fire department to the most well-known fire department in the world, that of the City of New York (FDNY). The missions of the top three finalists left lasting impressions. The Italian winners provided a prime example of exceptional teamwork. On August 24, 2016, a 6.2 magnitude earthquake destroyed numerous villages in centralItaly. People had to be rescued from the rubble and approximately 40,000 were brought to safety. Teams from over 12 regions as well as the main cities of Rome, Arezzo, Bologna, Venice and Pescara came to provide relief to the disaster area. The rescue teams carried out 26,251 relief operations by September 22, 2016. The Volunteer Fire Department Altenmarkt from Austria was confronted by a large fire in a magnesium foundry with several explosions. Two firefighters sustained injuries, but in the end the fire was successfully extinguished. The Fire Department of São Paulo, Brazil also had a difficult fire to fight. An industrial enterprise with several containers of highly flammable sodium dichloroisocyanurate – a substance used in detergents and disinfectants – had gone up in flames, releasing large quantities of toxic fumes. For over two days, the Fire Department worked side by side with the plant fire department to quell the dangerous fire. In addition to the so called “Firefighting Oscar”, a Special Prize for Social Commitment was given at the national level. It was won by the Volunteer Fire Department Erkrath. Its members collected donations for the Regenbogenland Children’s Hospice in Dusseldorf by attracting passers-by in many local towns with a pink fire truck. For this, they received the coveted Award Statue, together with a weekend at the Magirus Excellence Center in Ulm – including training at the company’s own Fire Fighter Academy.